Natural gas project called an “environmental disaster” waiting to happen. Sipekne’katik councillor Cheryl Maloney (left) and Millbrook First Nation Chief Bob Gloade at Thursday morning's press conference. Sipekne’katik member Jim Maloney didn’t hold back Thursday morning when criticizing Alton Gas’ plan to carve out dozens of natural gas storage caverns and dump millions of litres of leftover brine into the Shubenacadie River. Maloney was one voice in a chorus of local bands, industry associations, environmental activists and neighbouring residents opposed to the massive energy project planned for Colchester County. On Thursday morning, several of those organizations joined together at the Mi’kmaw Native Friendship Centre on Gottingen Street to announce an appeal will be filed with Nova Scotia’s Department of the Environment to stop work at the brine discharge site on the grounds that Alton has provided inadequate scientific research and the province has not fulfilled its duty to meaningful consultation with indigenous communities. 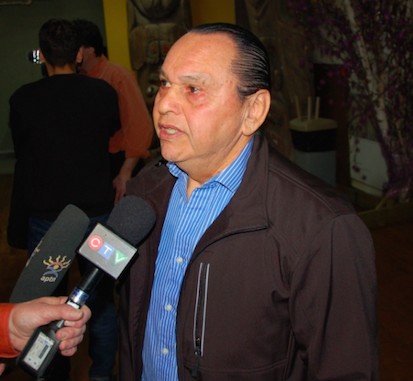 While Nova Scotia’s government maintains adequate consultation was offered, the Sipekne’katik band says the offer was made too late in the game, after the natural gas storage project was already well on its way to being approved. 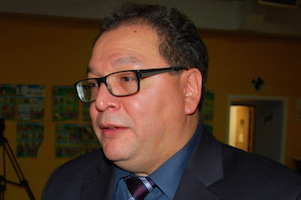 A referendum to oppose the project was asked for by the band, but denied by the government: There’s no right to veto included in provincial consultation arrangements with the Mi’kmaq. Band legal counsel James Michael says the appeal will demand a new, meaningful consultation period. Groups involved in the appeal include the local Sipekne’katik band, the Striped Bass Association, the Shubenacadie River Commercial Fishermens Association, a collective of Brentwood Road residents and the Ecology Action Centre. Representatives from those groups this morning openly criticized the flawed scientific research they say Alton Gas submitted to win environmental approval for its brine discharge system. As detailed at length in this week’s cover story by Miles Howe, the Alberta-based AltaGas has paid for the very ecological studies it would later use to justify its brine discharge. But those studies contain serious data gaps that could severely impact the river’s ecosystem. “This research study is essentially the bible on the effects of salinity levels on Shubenacadie striped bass, and one of the principle reasons that Alton is holding its brine discharge to 28 ppt. There’s only one problem: The study did not test the eggs or larvae at any salinity increments between 20 ppt and 30 ppt. At some point between those two increments survival rates drop 23 percent, but no one knows where exactly to place that toxicity tipping point. Representatives from the Sipekne’katik and Millbrook First Nations, the Striped Bass Association, the Shubenacadie River Commercial Fishermens Association and the Ecology Action Centre. For a single cavern (Alton will be building upwards of 18 caverns, just to start), 1,500 cubic metres of salt will need to be pumped into the river every day. “If you put that in dump trucks and hauled it to the river, that would be a lineup 1.8 kilometres long, every day,” said Art Redden, president of the Striped Bass Association. Environment minister Margaret Miller told CBC on Thursday that work on the storage project will move ahead while the appeal is considered. Miller has 60 days to come up with a decision. Miller previously told The Coast that Alton Gas is the biggest environmental challenge facing Nova Scotia, based on what she’s been hearing from her constituents. Energy minister Michel Samson last month claimed the project is safe and doesn’t threaten the environment. Alton Gas opponent Jim Maloney. Aside from the massive salt quantities to be pumped into the Shubenacadie, there are also concerns that cavern failure or pipeline leaks could contaminate drinking water and lead to a now-familiar scenario of clear water having to be shipped into a rural, mostly-indigenous Canadian community. If you haven’t already, take a few minutes and read the rest of Howe’s extensive investigation into how AltaGas infused itself into the province’s political and scientific realms, and just how much money is to be made off this natural gas project. It’s worth it. Some of those fighting against Alton Gas aren't swayed by premier's “conquered peoples” regrets. 'Conquered peoples' legal strategy is a new low for McNeil government. Sipekne'katik band files appeal to save Shubenacadie River.